Members get a $3.00 discount on this item at check out. In the school of Mary, says St. John Paul II, we are “led to contemplate the beauty on the face of Christ and to experience the depths of his love.” Mary–refuge of sinners, help of the sick, cause of our joy–is the model for all believers. The Manual for Marian Devotion will deepen your relationship with Mary and, in doing so, draw you closer to her Son. • What is Mary’s place in God’s plan? Why is she so important? • What has the Church taught about Mary? • How has Marian devotion changed history? • How should I cultivate devotion to Mary? 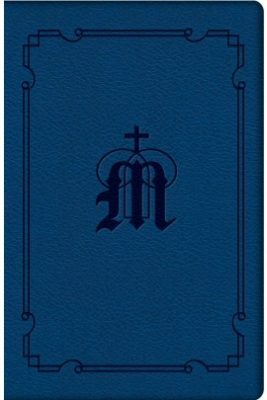 The Manual for Marian Devotion is designed to be small enough to travel with you everywhere: use it to nourish your love of Mary with the Scriptures and stories of the saints, and turn to its prayers throughout the day.